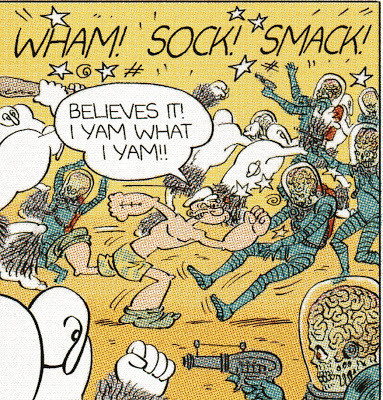 Yet another rave review for MARS ATTACKS POPEYE! This time it's a fun video review! Have a look! Yet Another Great Podcast Review! "Thank You...Thank You, too much..."
New MARS ATTACKS POPEYE Review from Mike Gold! First MARS ATTACKS POPEYE Interview! The Rave Reviews Keep On Comin'! MARS ATTACKS POPEYE "Pick of the Week!" And Another Great MARS ATTACKS POPEYE Review! A Fantastic New Review for MARS ATTACKS POPEYE!! First Podcast Review for MARS ATTACKS POPEYE! Yet Another Great Review for MARS ATTACKS POPEYE! Another great review for MARS ATTACKS POPEYE! MARS ATTACKS POPEYE is SELLING OUT! MARS ATTACKS POPEYE First Review!